In case you missed the rise of the chatbots, it's essentially software that's designed to handle customer service requests which would normally involve a telephone call to a human. Increasingly brands are using them to communicate, primarily via messaging apps such as Facebook. The launch of Messenger’s ‘Discover’ allows users to see their recently used bots, browse bots categories, see trending experiences or search for specific brands. This featured was announced at Facebook F8 and will roll out in Australia “in coming weeks”, according to Chudnovsky. Qantas got on board with Messenger in February, launching Qantas Concierge, a Messenger "bot" or automated software that gives customers personalised travel information. Another tactic Facebook is using to increase interactions with brands is the M Suggestions feature that uses artificial intelligence (AI) to scan conversations and recommend Messenger features to use. M Suggestions will now start to suggest bots from outside developers that could serve a need on topics that users are talking about. For example, if someone says “we should order food,” M could recommend delivery.com’s bot for making an order. “Delivery.com is the first example of a third-party app that is plugging into our AI capabilities in order to fulfil its task. If you and I are talking and say ‘It would be nice to have a pizza’, we can tell delivery.com that I will have a pizza,” Chudnovsky explained. “This is the first experiment and we don’t know if people are actually going to order food this way. The experiment is you allow the third-party app to plug into AI capabilities. Do we want to get into a world where there is a delivery.com equivalent in Australia, that hooks up the same way to our capabilities, and starts enabling those experiences in Australia? Absolutely. That is the goal." Chudnovsky believes it would complement rather than compete with services such as Menulog and UberEATS. 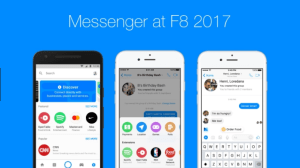 Facebook Messenger is on a mission to match its 1.2 billion users with the 60 million brands on its platform, but there’s a fair way to go when it comes to awareness, VP of product for Messenger Stan Chudnovsky admitted. 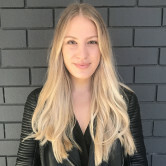 Speaking with AdNews on a trip over from the US, after a presentation of the platform’s latest features, Chudnovsky said Facebook has to work on its awareness of Messenger in the Australian market as well as globally as users aren’t aware of the number of brands available via the platform. “It’s a unique situation because we have 1.2 billion people using Messenger and 60 million brands in the ecosystem but that’s not how people are thinking about using it,” he said. Of those 60 million business pages total on Facebook 20 million are active on Messenger, meaning the challenge for Chudnovsky is to increase awareness for both consumers and businesses about the platform’s offerings. “We are working on closing the loop and getting the message out there about the number of businesses on Messenger and the possibilities for users. One part of this is the launch of Discover. We realised the brands needed a place to live so people can find things more easily, which is where Discover will come in," Chudnovsky added.